Directions Sift together dry ingredients in a bowl. Beat and add the egg, stirring while adding to combine without lumps. Add milk, stirring gradually. Add oil. Drop oil as needed into frying pan or griddle. Cook pancakes until the bubbles pop and stay as holes, then flip. Notes Substitute whole wheat flour for white flour for a thicker pancake. Add blueberries, apples, or any other fresh fruit (diced if necessary). 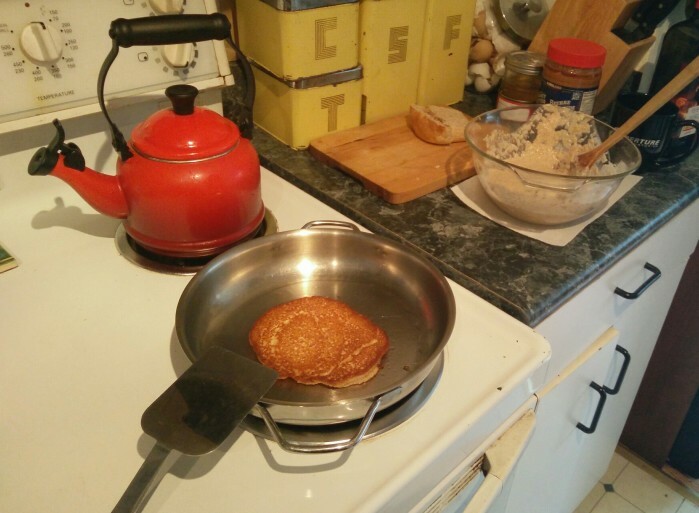 Sugar can be added to the batter for a lighter pancake.